WOODLAND — Area residents are invited to celebrate with the staff of Woodland’s Love Street Playhouse as they kick off their 12th season with a revival of one of Love Street’s most popular shows, Steel Magnolias. Love Street Playhouse brings this powerful story to the stage after 10 years. Steel Magnolias, by Robert Harling, plays Feb.15–March 3 at Love Street Playhouse, 126 Loves Avenue, Woodland. Single tickets are $20 and are on sale now by visiting the website at www.lovestreetplayhouse.com. It’s been 30 years since the movie was first released and 10 years since Love Street Playhouse presented it on its stage. Infused with heart and humor, Steel Magnolias is a story that touches on love, loss, and enduring friendship. 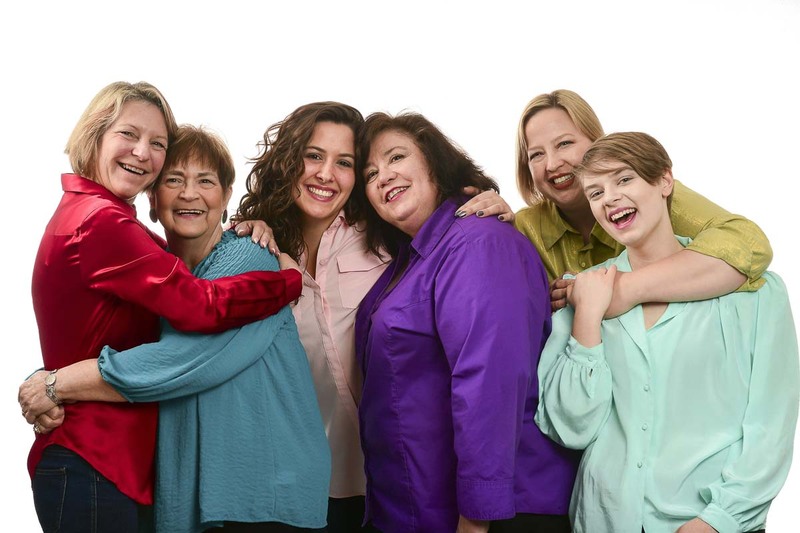 The play follows the lives of six Southern women as they share their personal triumphs, tragedies, beauty tips, recipes and more in Truvy’s Beauty Salon in Chinquapin, Louisiana. These women can be as delicate as the magnolia flower, but – when needed – as tough as steel. Director J Christopher Cleveland of Vancouver has assembled a cast of seasoned veterans and newcomers for the 2019 production. Rebecca York (of La Center) plays Truvy, the quick-witted hair salon owner. Jessica Wisniewski (of Woodland) will be playing Shelby, an independent young woman trying to live life her way despite a chronic medical condition. Rebekah Skinner (of La Center) plays Annelle, the young new stylist with an interesting past. Karen Cleveland (from Vancouver) will be playing Shelby’s mother M’Lynn. Patricia Rohrbach (of Vancouver) plays Ouiser, a rich curmudgeon. Cindy Heikkala (of Vancouver) will be playing the role of Clairee, a millionaire society woman. Robert Harling wrote the play Steel Magnolias soon after his sister died at 33 years of age in 1985. She left behind her husband and their son, after years of fighting diabetes. Harling wrote it all down, creating characters based on his sister, mother and other women in his Louisiana hometown. What began as a short story became a healing memoir and a way to provide his nephew with a sense of his past, grew into the now beloved play. A film version was released in 1989 with an all-star cast including Julia Roberts, Dolly Parton and Sally Field. The creative team includes Love Street owner and artistic director Melinda Pallotta (Scenic and Sound Design), Patricia Rohrbach (Costume and Wig Design), Managing Director Lou Pallotta (Set Design and Construction), Mikail Nordquist of Longview (Lighting Design), and Maria Tuz-Manrique (Production Stage Manager). Single tickets to Steel Magnolias start at $20 and are on sale now to the general public. Tickets can be purchased online at www.LoveStreetPlayhouse.com or by phone at (800) 966-8865. Performances run Feb. 15 through March 3. Performance times are: Fri., Feb. 15 at 7:30 p.m.; Sat., Feb. 16 at 7:30 p.m.; Sun., Feb. 17 at 2 p.m.; Fri., Feb. 22 at 7:30 p.m.; Sat., Feb. 23 at 7:30 p.m.; Sun., Feb. 24 at 2 p.m.; Thu., Feb. 28 at 7:30 p.m., Fri., March 1 at 7:30 p.m.; Sat., March 2 at 7:30 p.m. and Sun., March 3 at 2 p.m.
Local business sponsors and advertisers contributing to the Love Street Playhouse include the Port of Woodland, Holland America Flowers, Benno and Klazina Dobbe of Woodland, Woodland Truck Line, Conkle Properties, LLC of Lake Oswego, Lou Pallotta of Chianti Club Productions, Columbia River Carbonates in Woodland, Maple Ridge BnB operated by Tim and Lee Welch of Woodland, Lelooska Foundation, Erica Rodman of Woodland Real Estate, Sproos Tap House of Woodland, Woodland Care Center, State Farm Insurance of Woodland, Hooked on Embroidery of Woodland and Last Frontier Casino in La Center.